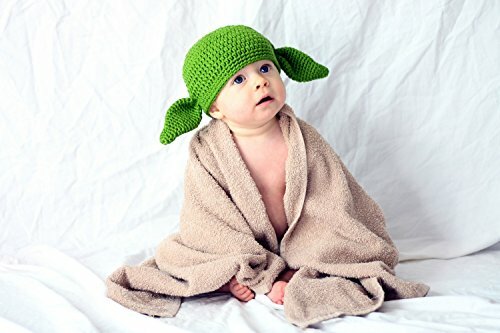 Use the force to make merry and mischief, with this alien/goblin hat. Dark green skin and impish ears, gives this cozy cap a wickedly wild appearance. Beautifully handmade with 30% milk protein and cotton, all in a smoke free environment. I do have a dog but he rarely shows much interest in knitting. No, you didn’t misread this. Recently I discovered a type of yarn that’s amazingly soft than the regular cotton yarn. This yarn contains 30% milk protein and 70% cotton. It’s perfect for baby and children knits. Downside? Absolutely nothing except it’s slightly more expensive. To tell what’s cotton what’s acrylic – simply burn a small scrap of yarn. This yarn leaves absolutely nothing and NO smell at all! !